Before mowing, Honda always recommends doing a few checks to ensure the safety of the operator, those near where the work is taking place, and the integrity of the mower’s engine itself. This breaks down into three pre-mowing checks that should be done each and every time. Always check the air filter, oil level, and fuel level before mowing. As a general rule, always start each mowing task with a full fuel tank for maximum working time and efficiency. Check nuts, bolts, and blades to ensure they’re in great condition and indicative of great safety. Always check the mower for signs of a fuel or oil leak, and be sure to look for sign of damage to the mower’s blades and its exterior surfaces. Don’t mow before checking the lawn for debris, obstructions, and people. Remove any toys, pet items, or people from the lawn to reduce the risk of bodily injury and equipment damage. – Check that the mower is adjusted to the proper cutting height. – Make sure the clipping bag is empty and that it’s attached properly. Ensure that the mulching plug is properly in place if desired. – Move the mower into an open area before starting the engine. To start the Honda HRC mower’s engine, a few simple steps should be followed during each outing. This logical process will make it easier for the fuel to ignite, leading to a more effortless process each time. Before starting this process, turn the fuel valve to the “on” position and then adjust the throttle lever to either the “choke” position for cold engines, or the “fast” position for warm engines. Next, push the flywheel brake lever forward. This bar must remain pushed forward for the mower to operate properly. With the bar in place, go ahead and pull the starter grip slowly until it begins to show resistance. When it does, pull faster until the mower turns on. Repeat this pulling motion until the mower’s engine successfully begins operation. If the mower was started when cold, using the “choke” position of the throttle lever, be sure to adjust it to either “fast” while mowing or “slow” while idling. This will allow the mower to operate without unexpected engine problems or poor performance in action. When mowing is complete, stopping the engine requires three basic steps. First, put the throttle lever into the “slow” position so that the engine begins to idle. Next, release the flywheel brake lever. This will turn the engine off almost immediately. With the engine off, be sure to adjust the fuel valve lever and place it into the “off” position. This ensures that the mower is not only off, but also safe from unwanted sparks or ignition between mowing tasks. The general rule is to mow “across” a slope, rather than up the slope and back down. This makes it far less taxing on the body to mow steeper inclines, and it produces a more appealing stripe pattern overall. Use the side of the mower to handle obstacles, rather than the front or the rear of the equipment. This will produce a closer cut and look much more precise. Mowers often choke up and stop completely when confronted with tall grass on their own. Use a weed trimmer or another type of equipment for especially tall grass, avoiding engine stalling, mower deck clogs, and other pitfalls. Consumers considering an HRC mower for their own residential or commercial use, or those who simply need replacement parts to keep their mower in great condition, can find what they need at HondaLawnParts.com. The site is full of parts that can help with engine condition, fuel efficiency, and overall operator comfort, and offers great tools for looking up parts based on mower type, model number, and engine brand. 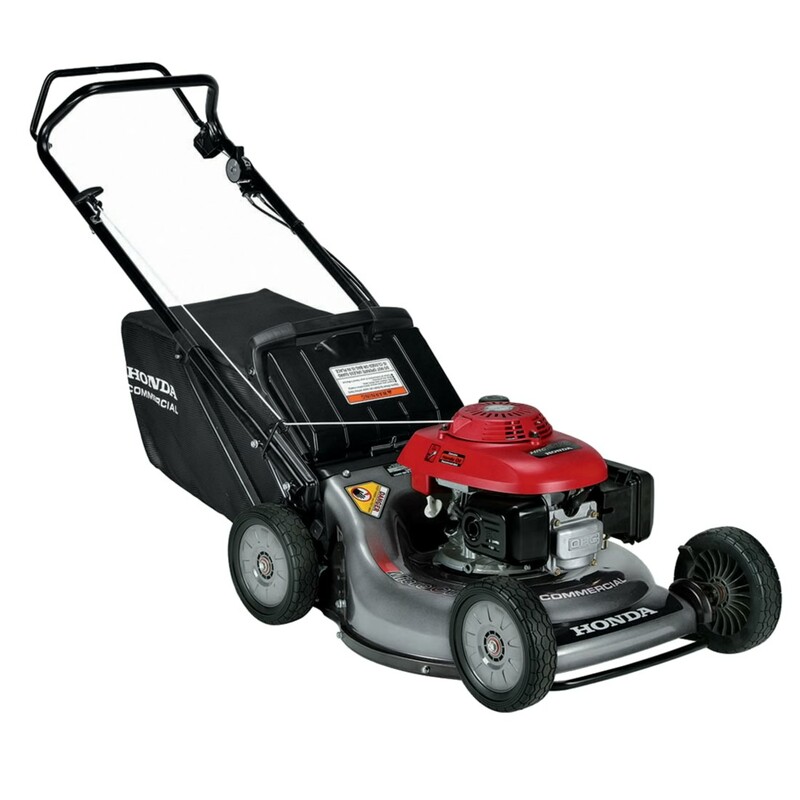 This entry was posted in Uncategorized and tagged Honda Lawn Parts, HRC Lawnmower by Admin. Bookmark the permalink.